Some photos just don't look quite right unless the Bride is holding a flower bouquet. Call 808-924-3600 for Hawaii Wedding Flowers! 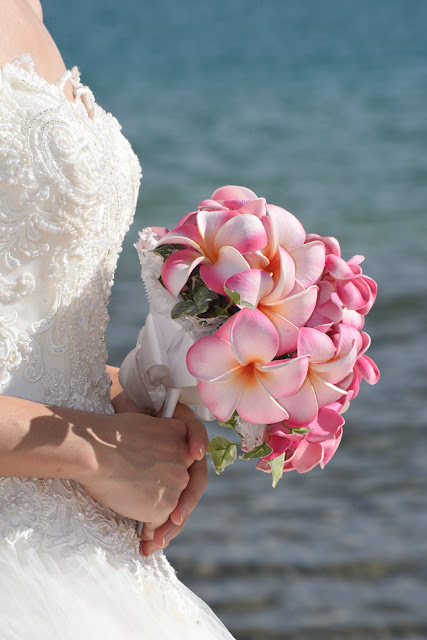 Bride holds a pink plumeria bouquet with matching haku lei (flower head piece). 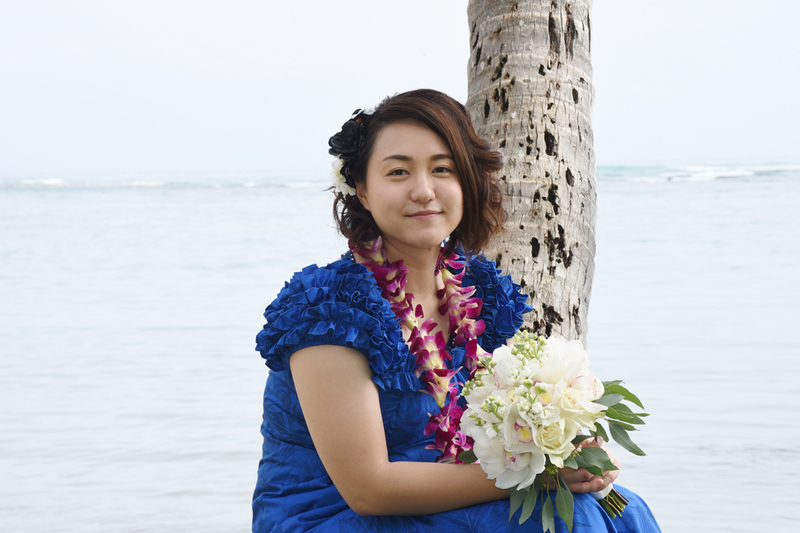 Hikaru holds a white tropical bouquet with cymbidium orchids and white roses. 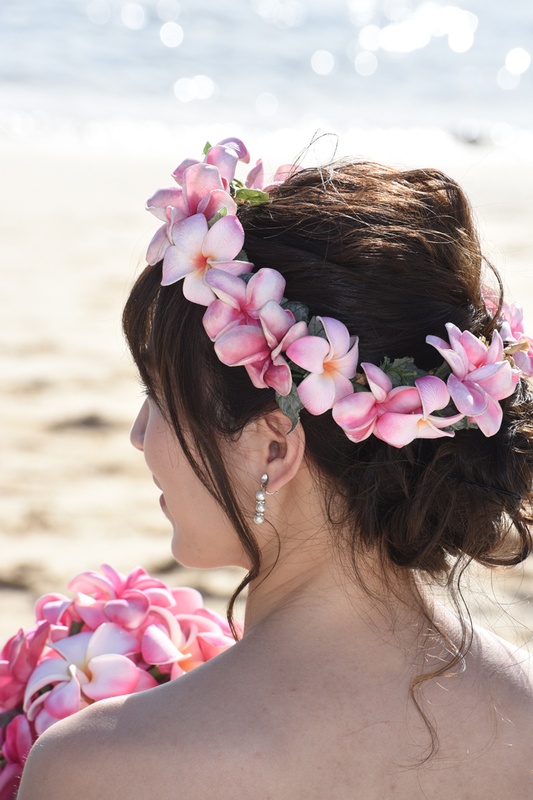 Call Bridal Dream Hawaii at 808-924-3600 to request your wedding flowers in Honolulu.